What can you do with a Neon Pink Petticoat, you ask? Don’t you think that the better question is...what can you not do? We are actually banging our heads over here, trying pretty hard to think of any task that would not be more fun if you performed it wearing this bright layer. Taxes? Yep! Dinner prep? You betcha. Grocery shopping? Naturally! 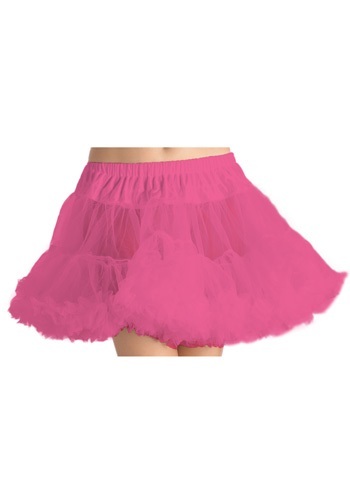 Of course, the MOST fun way to wear this two-tiered, hot pink tulle skirt is underneath any one of our fabulous costumes for a fabulous party on the most fabulous of holidays: Halloween. Try it under just about any short skirt and feel instantly more flirty and...well...fabulous. Haven’t you heard? Bright is in and white is out! Update your costume wardrobe with an accessory that makes everything more fun!